Some things in life are always a little bit more complicated for people with disabilities, but the good news is that things are slowly getting better. New gadgets are being released every year and they’re breathing new life into millions of people around the world. If you are confined to a wheelchair you might find some of these gadgets interesting. I’m sure you’ll have a few already, but hopefully there are one or two you don’t yet have. These are great for anyone who needs to sit in a wheelchair because they give you a lot more reach. Instead of trying to move around and bend over for something you can just use your reacher to pick it up within an instant. There are hundreds of different kinds online and if you have a look you’ll find one that suits your needs. Some of them come with a built-in flashlight so you can see what you’re picking up in the dark and there are even some with magnets on the end to make picking up metal objects easier. If you’re confined to a wheelchair you don’t want to make your way to the public library every time you want to read a new book. Even if you have a large library inside your home it’s still annoying having to wheel yourself there every time you want to read a new book. 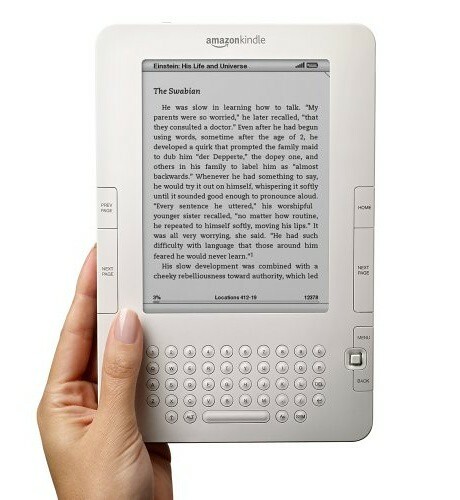 Once you have a Kindle you basically have a library you can carry around with you at all times and you can even buy new books through your reader. If you love reading books having one will save you so much time. The reason I like voice recognition software so much is because it’s not easy to move around your work station when you’re in a wheelchair, but you have to be right in front of the keyboard when you’re typing. If you use voice recognition software it means you can still move around while typing at the same time, so at the end of the day you become almost as mobile as anyone else. There are plenty of great software out there these days and they actually work compared to the ones from years ago. When you spend a lot of time sitting in a wheelchair you won’t become a fitness machine, but these cool gadgets could help you get fitter than ever before. They are basically standalone machines you position next to your wheelchair and they allow you to train your arms or legs depending on your capabilities and which model you choose. If you’re tired of feeling unfit you should check them out because an extra dose of fitness into your life could make you feel a lot better. How many times have you dropped a piece of paper on the floor by accident? It’s one of those things you can’t pick up with your reacher because you’ll destroy the paper, so what do you do? Did you know you can buy extra-long tweezers with rubber tips that will allow you to pick up things like paper when it falls on the floor? It’s always handy to carry a set around when you’re at work so you don’t need to break your back bending over to pick up something so trivial. Life is always going to be hard for all of us, but that doesn’t mean we need to lie down and accept it. Start using these gadgets to make your life easier today, plus if you use anything else that helps you out you should share your ideas with us in the comments below. Nancy Baker, a freelance blogger who often writes for Freedom Lift Systems, a company that sells residential wheelchair lifts. Her hobbies include cross-stitching and she loves to play golf in her spare time. You can get in touch with her on Twitter @Nancy Baker.